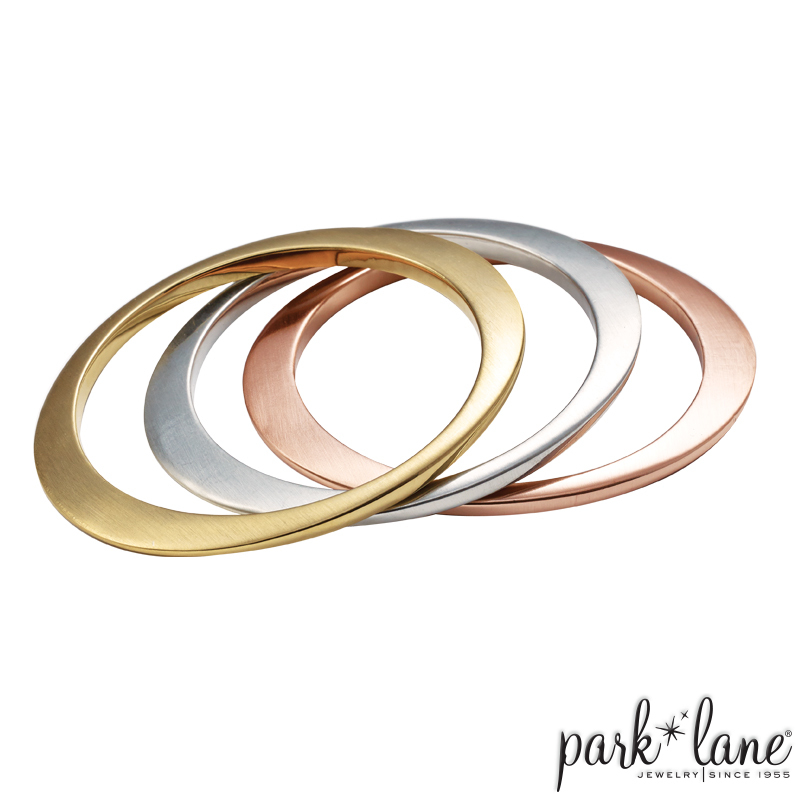 This sleek satin-finish oval bangle is chic and contemporary. Available in satin/matte gold, rose gold and silver. Take your pick or, better yet, take all three.